Midwest Country Stars has no scheduled dates in Branson for 2014. It is unknown if they will return to Branson in 2015. 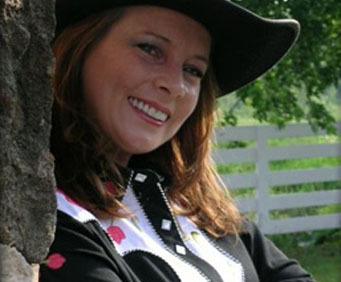 The Midwest Country show comes from Sandstone, Minnesota, a place known to traditional country music fans for it's pure, classic country and the reason for this notoriety is the show as it brings in performers across the country who, though not well known, are incredibly talented. On weekends the theater crowds full of people for the sought-after country performances. Every year Midwest Country gives limited engagement shows for the RFD-TV Theatre. 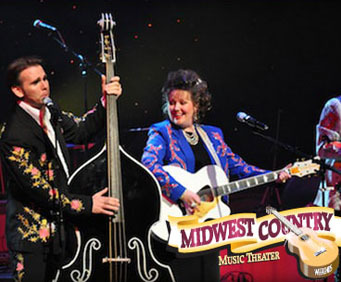 This year Midwest Country is coming to Branson for three days in October, but the wonderful Maggie Mae and the Heartland Country Band will only be performing for two, Tuesday and Wednesday. Other special guests will include Bobby Vandell and Melanie Rosales, Bruce Hoffman and Splinter Middleton, and Becky Schlegel and Kenny Miller. The Midwest Country Band will be playing music every night. With these amazing line-ups, you are bound to have fun. You won't forget this noteworthy experience so don't miss out on this three-day limited engagement show. Make sure you'll have a seat by reserving your tickets online today.